Auto trimmers all over the world are using The Hog Ring Design Studio to sketch their unique design ideas and land lucrative build contracts. In 2015, we showed you how one build team used our “Generic Bench Seat” illustration to create a show-quality interior for a 1973 Ford F100. Here are five more examples of auto trimmers putting The Hog Ring Design Studio to good use. 1. 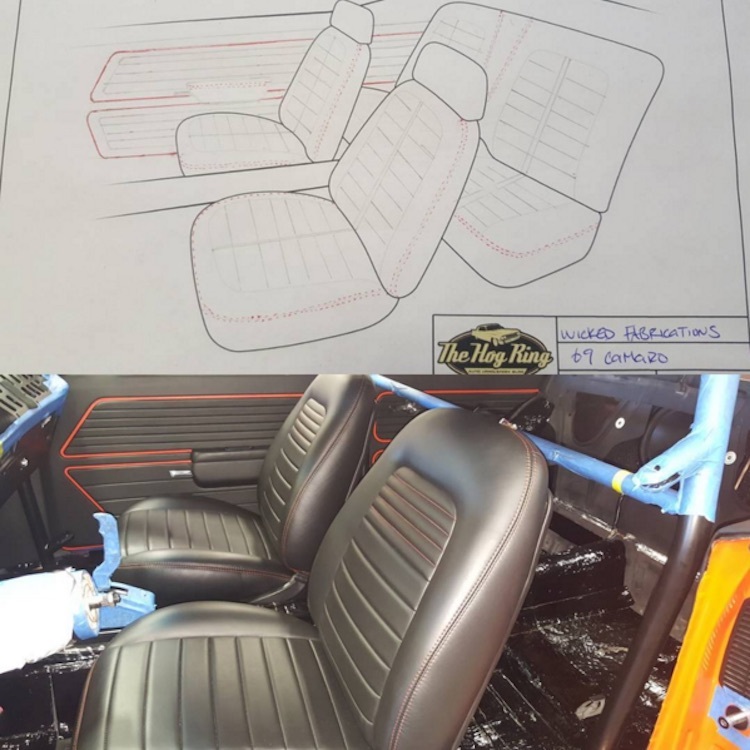 Sean O’Neill of Spotlight Customs used our “Generic Bench Seat” drawing to help decide between a single- or dual-tone color scheme. 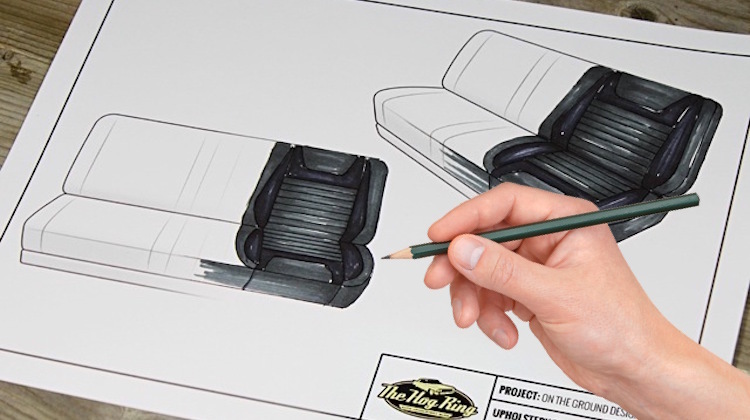 He also cleverly took our “Generic Bench Seat Interior” illustration and cut it behind the front door to emulate the interior of the Chevy C10 truck he’s working on. 2. 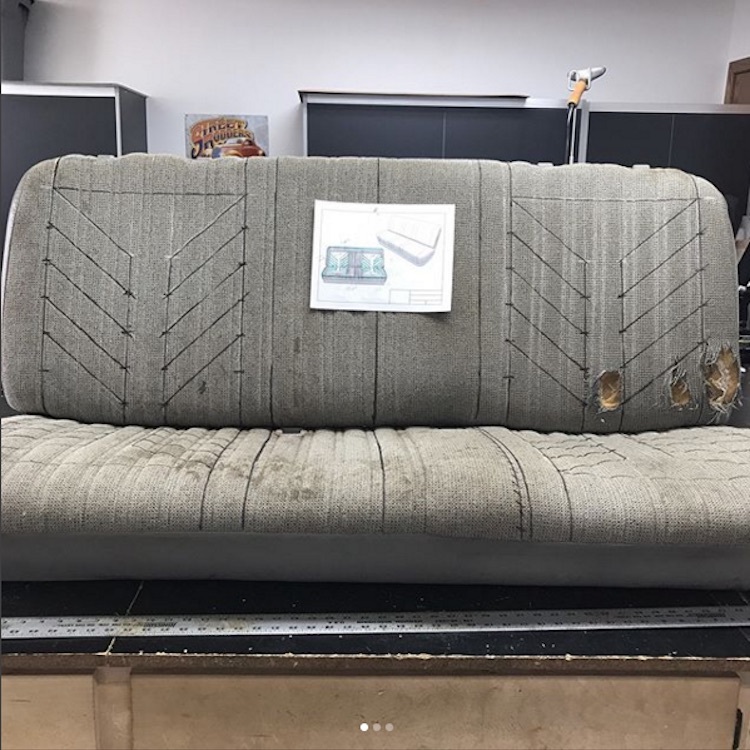 Tony Miller of Stitches Custom Auto Upholstery used our “1969 Chevy Camaro” illustration to visualize the seat and door panel design of a first generation Camaro. Then he perfectly executed the design. 3. 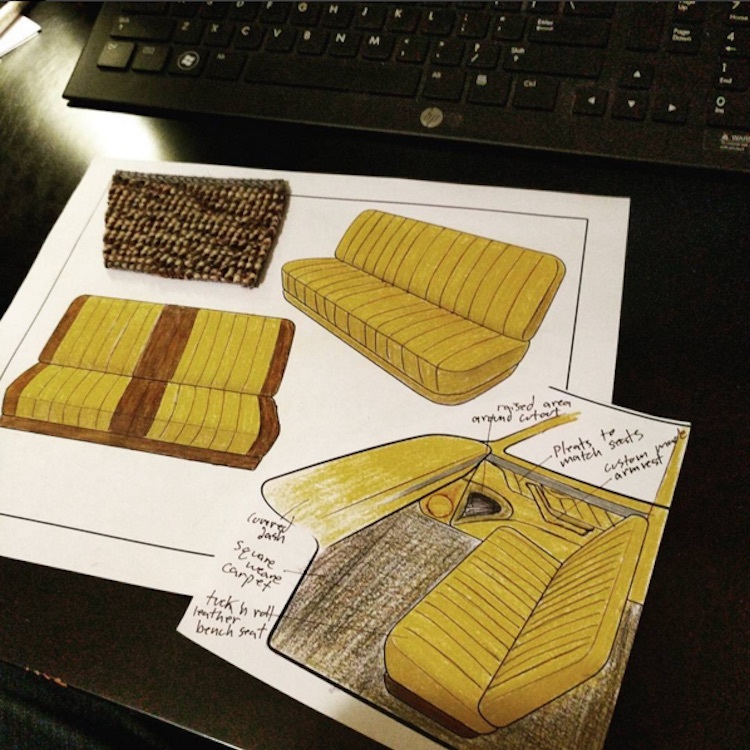 Brad’s Custom Upholstery used our “Generic Bench Seat” illustration to sketch his design before starting work on a customer’s vehicle. 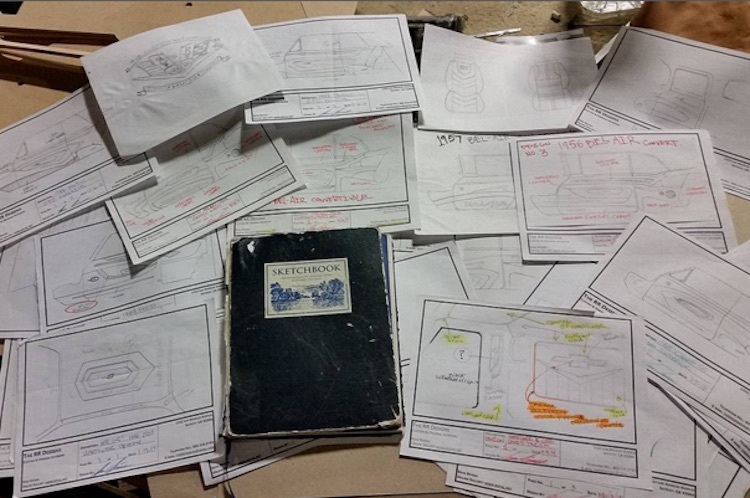 After he was done sketching, he pinned the illustration to the actual bench seat so he could reference it while making his pattern. 4. 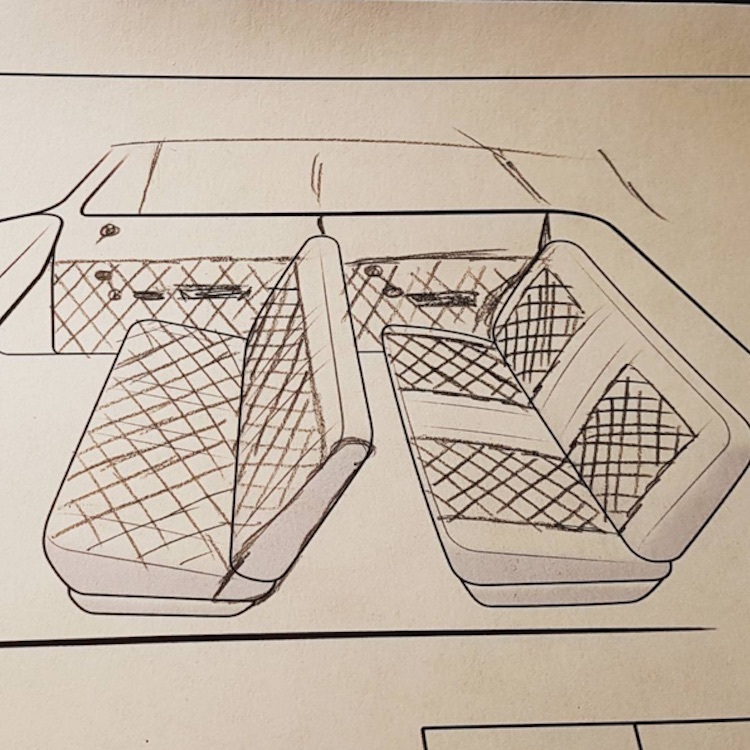 Swedish auto trimmer Stefan Beer turned to our “Generic Bench Seat” illustration to draft a diamond pleated interior concept. 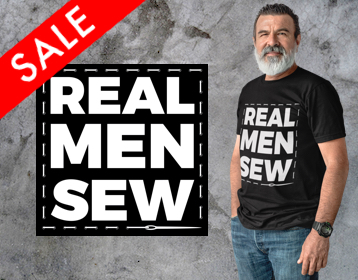 The Hog Ring Design Studio is a free resource that lets auto trimmers quickly and easily produce quality illustrations for clients. We commission all our illustrations from a professional artist who leaves out color and detail for you to add with color pencils. This way, you can collaborate with customers to create the exact interiors they want. We hope that you’ll take advantage of this fantastic resource and send us photos of your illustrations come to life. For more details, check out The Hog Ring Design Studio.